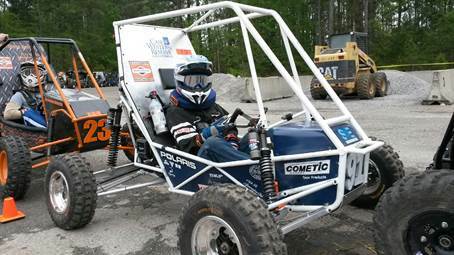 It was our pleasure to sponsor the Case Western Reserve University Motorsports Team at this year’s Baja competition in Auburn, Alabama. We assisted in providing transmission shafts to their “Model C” car. Competing against 90 other teams, the team placed 10th in the “dynamic” events, doing exceptionally well in the 100-ft. acceleration run. This year’s design featured four-wheel independent suspension, tight-turning radius, CVT, custom CNC’d gearbox with reverse and DGL, 3-D printed knuckles, and a lightweight frame. Great work, team! We can’t wait to assist in future projects and wish you nothing but success in future competitions!